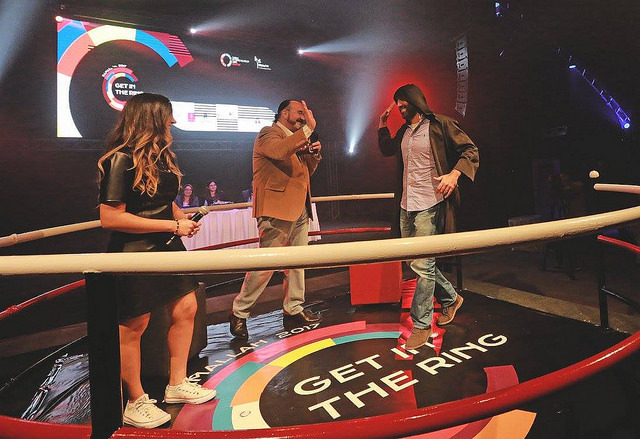 Three startups prevailed as winners of Get in the Ring in Palestine, held for the second time in Ramallah on November 13th. Startups Eventati, Bambinotes, and RedCrow Intelligence were the winners in the light-, middle-, and heavyweight classes respectively at the end of a fierce competition that has caught the attention of the startup community in Palestine. The winning startups will travel to the Global Meetup in Portugal in 2018. “The success for the event was unforeseen as it has impacted the startup ecosystem and universities across the West Bank,” said Salah Amleh, the lead organizer of the Global Entrepreneurship Week in Palestine. He expects that several more events will happen in the next year. Organized by Growth for Training and Development Organization as part of Global Entrepreneurship Week, Ramallah’s one-day event was a peer competition between startups of similar size and valuation in front of a jury of experts from Palestine for Development Foundation, Ibtikar Fund, APIC Group, Paltel Group, and Ibtikar Fund. The audience was diverse, with entrepreneurs from the West Bank, as well as representatives of public, private and development organizations. The event was sponsored by APIC Group, Paltel Group, Bank of Palestine, the National Beverage Company -CocaCola-, Palestine for Development Foundation, Mada for Internet Services and CCC. The participating startups had to answer questions on team skills, accomplishments, business model, and investability. One only of every two competing startups was announced as winner in each weight class. Lightweight winner Eventati is an online platform for events and ticketing management, founded by Shadi Abu Baker. BambiNotes founded by Odeh Awwad is the middleweight winner which is is a subscription based, Multi-language online platform, which offers the simplest way to communicate between pre-schools, kindergartens, and parents. 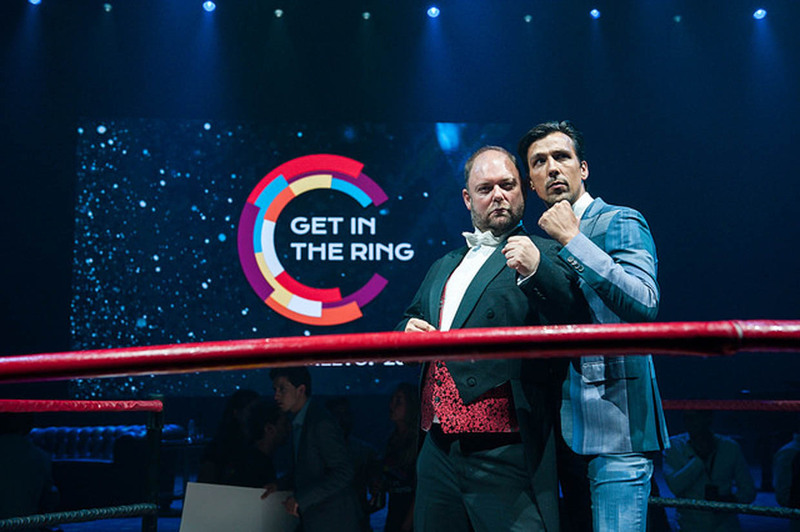 The heavyweight winner is RedCrow Intelligence which is a platform that helps organizations operating in volatile political environments, mitigate security risks, by providing them with real time tactical intelligence.